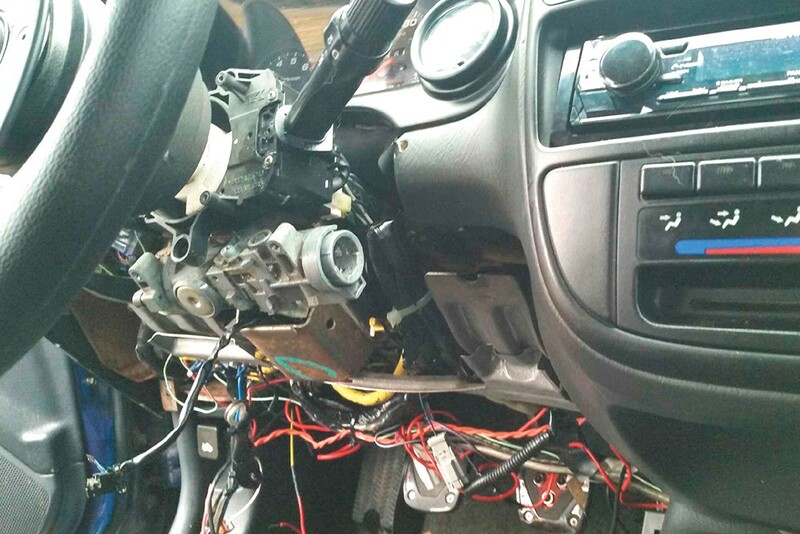 A thief ripped out the dashboard and punched out the ignition to steal an older Honda Civic. Various Spokane officials, including Spokane’s Police Chief Craig Meidl and Mayor David Condon, testified before the state Senate Law and Justice Committee on Feb. 7 in favor of a bill that would allow chronic property offenders to get community supervision after they are released from jail. The bill would allow courts to sentence people who commit a high number of car-related property crimes — such as attempted theft of a motor vehicle — to community supervision while shaving days off their jail sentence. (The ratio would be a reduction of one day in jail per every three days of community supervision.) This supervision would also help connect offenders to drug treatment, housing and other services. Currently, there is no post-incarceration supervision specifically for property crime offenders. Proponents of the bill have long argued that this gap in supervision has contributed to high property crime and offender recidivism rates both in Spokane and across Washington. “A large proportion of our repeat offenders are people with addiction and mental health issues, often co-occurring,” Spokane City Councilman Breean Beggs told the committee remotely via video conference. “We think this supervision of property offenders, which is currently missing, would really make a difference in recidivism rates. It would get to the roots of the problems that are motivating criminal behavior.” Senate Majority Leader Andy Billig (D-Spokane), a sponsor of the legislation, told the committee that the plan is also cost neutral.